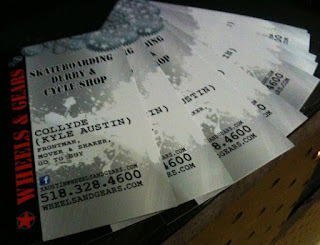 Kyle Austin - aka Collyde - is hosting the grand opening of Wheels and Gears, the new derby and skate shop today in down Troy. Massacre and I stopped by last night during Troy Night Out to say hello and wish him well. 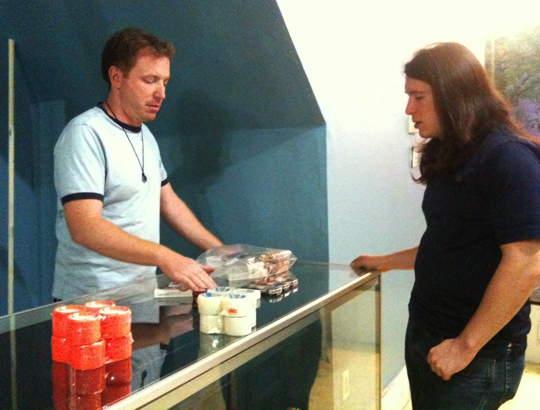 Massacre also made the first purchase ever in the new shop! Collyde actually started his business in January 2011, however the storefront is a new development. Over the past year, he's been a traveling roadshow of derby gear and supplies, tabling at our bouts as well as traveling out to Central New York for Central New York Roller Derby bouts - he's a sponsor for our leagues as well as the Utica Rollergirls and the Green Mountain Derby Dames. He's interested in working with other leagues - both near and far, so definitely reach out to him to find out about sponsorship. Collyde doesn't just have derby gear, he can also hook you up with skateboarding and bicycle gear. Besides the business, Collyde has been involved with roller derby for almost as long as the Hellions have existed. While talking with him last night, he told me he got involved with derby about 5 months after the Hellions started, which would be early 2009. Collyde has occasionally officiated our bouts and has been around in other volunteer capacities as well. Now he's here to support our league and others by providing a local place to buy derby gear. While we were in the store last night, Collyde and his daughters were getting busy for their big opening day. (BTW, Collyde says he is accepting applications for employees, although his daughters said they'd be happy to work for gummi worms"). 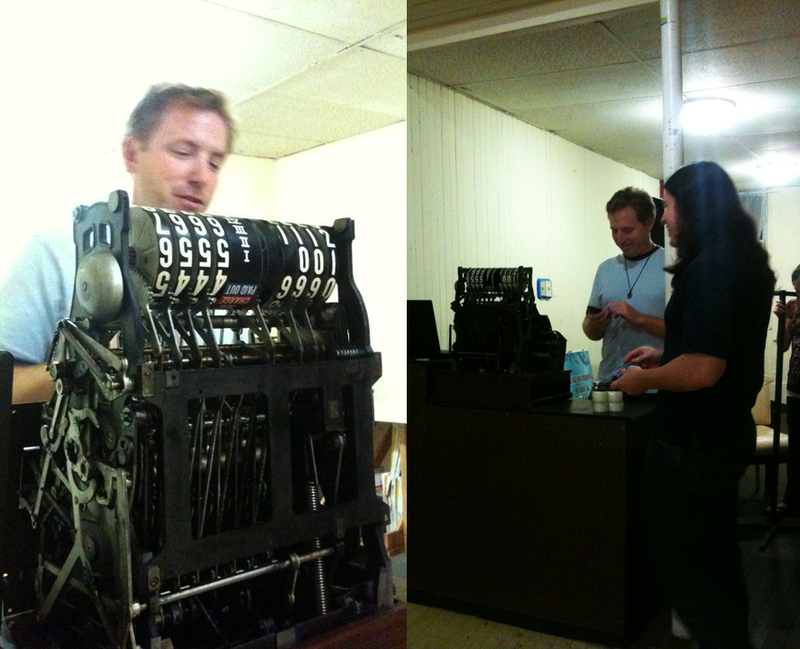 He did have time to show us around the space, and like I said, Massacre made the first purchase at the store. 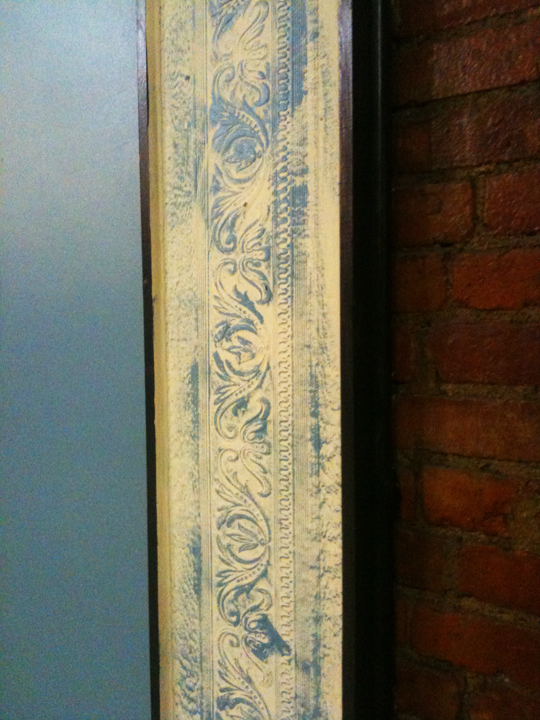 Like most buildings in downtown Troy, the space has some unique features. The inside has some punk-y exposed brick, and Collyde is also working on bringing out the subtle features of the various moldings. 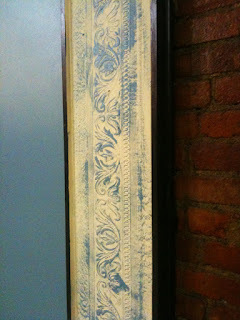 He did some paint work to bring out a molded design on the wall. Check it out -- it's very "Troy". Collyde's business knowledge of the derby world's needs is growing. I like to shop around, but from my research, I've found that his prices are comparable with places I might order from online. Now that there's a local shop, derby girls (and guys) can get what they need right away. Collyde and Massacre talking about bearings. Another cool feature Collyde added to the store: an old fashioned cash register. Collyde administering his first transaction. 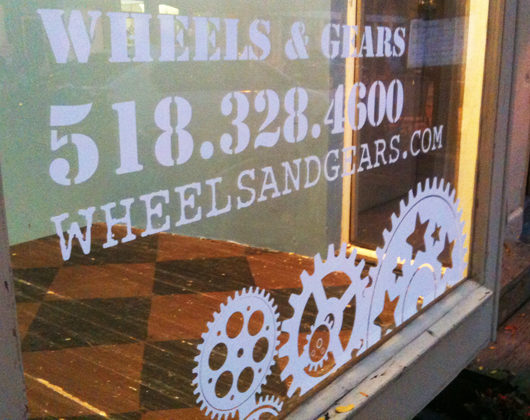 Check out the grand opening of Wheels and Gears today, October 1, 2011, in downtown Troy. Tomorrow's store hours are 1:00pm - 8:00pm. 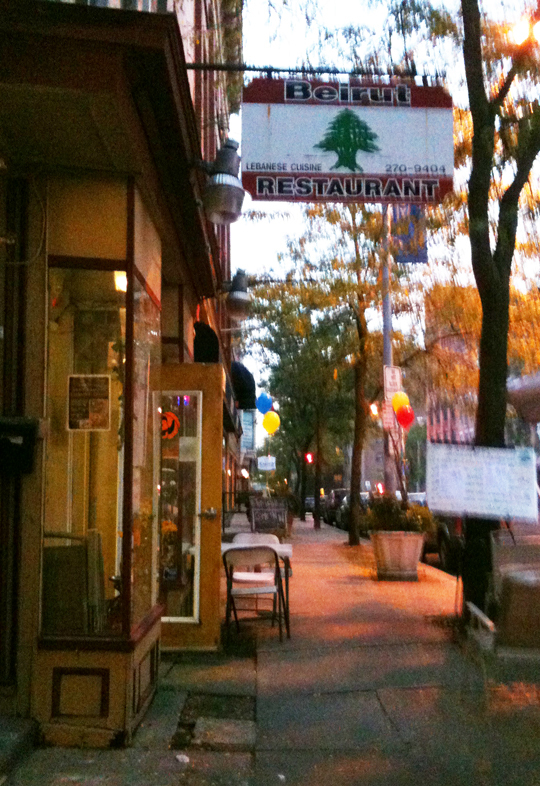 By the way, the shop is right next to Beirut Restaurant - yum! Collyde told me proximity to Beirut may have been a contributing factor to picking his location. Sounds and tastes good to me.